A personalized start page is a web page that you customize to show certain RSS feeds, websites, bookmarks, apps, tools, or other information. You can use it to kickstart your web browsing by automatically opening up a new window or tab to this page that's been designed by you and with your interests in mind. There are lots of different options out there, each with its own unique set of features. Have a look through the list below to see which one might give you the customizable options that you're really looking for. Personalize with news, feeds, social media, and weather. Free plan offers limited features. Support and analytics cost extra. NetVibes offers a complete dashboard solution for individuals, agencies, and enterprises. Not only can you add a wide range of customizable widgets to your dashboard, but you can also use the "Potion" app to program automatic actions between them on your dashboard — somewhat similar to how IFTTT works. Upgrading to premium offers users even more powerful options like tagging, autosaving, access to analytics and more. Drag-and-drop interface acts more like a desktop than a browser screen. Some websites can't be embedded. If you're just looking for a simple start page with a good variety of customizable options, Protopage has you covered. Use it to search a variety of sites/search engines and use the easy drag-and-drop functionality to rearrange your widgets. It's a great tool to use if you have a few particular favorite blogs or news sites you like to check up on, mainly because you can set feeds up to be displayed with the latest posts and optional photo thumbnails. Complete Google menu bar at the top of the screen. Tabs to organize feeds and gadgets. igHome is similar to Protopage. It was actually designed to reflect the look and feel of iGoogle, which was Google's personalized start page that was discontinued in 2013. In other words, if you're a Google fan, igHome is worth trying out. It has a nifty menu at the top that can connect to your Gmail account, your Google Calendar, your Google Bookmarks, your YouTube account, your Google Drive account and more. Customizable with themes, layouts, and interests. Instant access to all Yahoo services. Includes weather, stock quotes, feeds, news, and sports scores. Some ads are not clearly marked as ads. Despite being somewhat less cool to use these days compared to all the newer, shiner apps we have access to, Yahoo is still a popular starting point for the web. My Yahoo has long been known to serve as a popular web portal that users can customize according to their own interests, and it has been updated to integrate with some of today's most popular apps and sites, including Gmail, Flickr, YouTube and more. Customize by adding or removing sections. Includes human interest stories and hard news. Similar to MyYahoo, Microsoft has its own start page for its users at MSN.com. When you sign in with your Microsoft account, you get your own news page that you can edit and customize, but it's not quite as customizable as some of the other alternatives mentioned on this list that come with drag-and-drop widgets. Still, you can add, remove or shuffle news sections for specific categories around your page and use the the menu options at the top to access other apps like Skype, OneDrive, Facebook, Office, Twitter and others. Modern take on the start page concept. Fully customizable with widgets, websites, to-do list, weather, and news. Paid upgrade required for live RSS feeds, no ads, and collaboration. Start.me offers a great looking front page dashboard that looks great and is up to date with today's design standards. 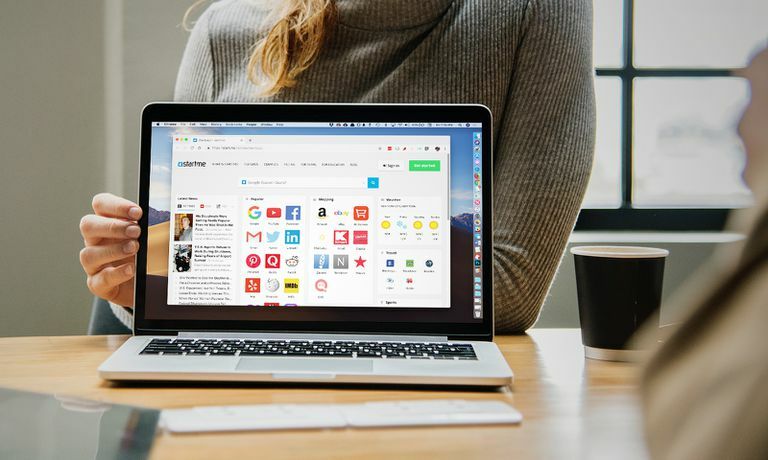 With a free account, you can create multiple personalized pages, manage bookmarks, subscribe to RSS feeds, use productivity tools, customize widgets, choose a theme and import or export data from other sites and apps. Start.me also comes with convenient browser extensions to supercharge your start page experience, and it can be used (and synced) across all your devices. Spectacular photography and chill-out music. Non-obtrusive links to social media sites and web services. Personalize with to-do list, notes, and games. Small selection of news sources. Search limited to Yahoo or Google search engines. MyStart is a start page that's been stripped down to feature only the most essential personalized features that you really need–like your most visited websites, the time, the date and the weather. You install it as a web browser extension. It features just a simple search field (for Yahoo or Google) with a beautiful photo that changes every time you open up a new tab. It's the ultimate start page for web users who prefer a simpler look. Replaces Chrome start screen with customizable theme. Includes a place to take notes and access bookmarks and recently closed tabs. No distractions; just a simple layout. Some text elements aren't visible in dark mode. Search results don't seem as complete as searching through Google. Like MyStart, Incredible StartPage also works as a web browser extension–specifically for Chrome. This one has a different layout, featuring a large box on the right with two smaller columns on the left and a notepad above it. You can use it to organize and view all of your bookmarks, apps and most visited sites. Customize your theme with wallpapers and colors, and even post directly to Gmail or Google Calendar using the notepad feature. List-style RSS feed reader included. Themes and skins for customization. Covers the basics but not much else. Some background images are distracting. If you love the look of a start page with lots of different customizable widgets, you're going to want to check out uStart. It offers more customizable social widgets than a lot of the other alternatives listed here, including widgets for RSS feeds, Instagram, Gmail, Twitter, Twitter Search and all sorts of popular news sites. You can also customize the look of your page with different themes and you can import data from your Google Bookmarks or your NetVibes account. Great for visually oriented users. Displays bookmarks and online resources as tiles in a grid. Customize tiles with colors, icons, or images. Tile design defeats everything-at-a-glance approach of most start pages. Heavily slanted toward teachers and teams. Symbaloo is a start page that takes a different approach to its layout by allowing users to see all their favorite sites in a grid-style layout of symbolized buttons. Popular sites are added and organized into bundles by default, and you can add your own to any of the blank spaces. You can also add as many tabs as you want by creating "webmixes" to keep large collections of sites super organized and easy to view.